Do you think you're up for this? Twelve days of my Push Pop creations? Or would you rather I just posted them all at once to get it over with? Oh wait, some might ask...what in the world is a push pop?? I know this because my sister asked, so I better fill you in. 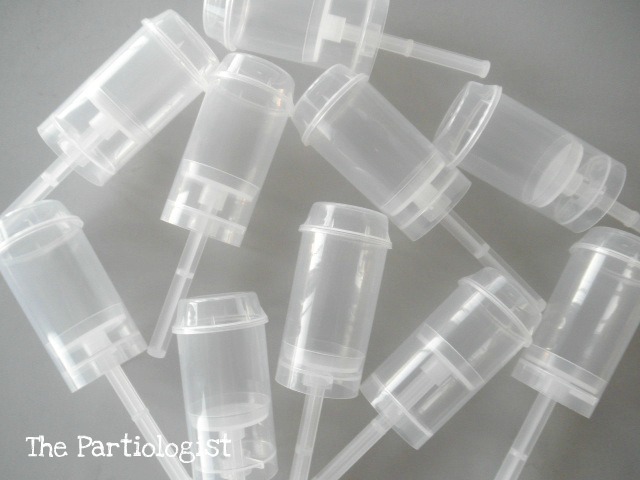 They are little plastic containers that you fill up with goodies and push them out to eat! Here they are before I got ahold of them. I'm starting this early so you can have them finished before you get too busy! And now that you know what they are, I have lots and lots of ideas of what you can do with them this Christmas. Plus, I'll be GIVING AWAY one dozen Push Pop containers at the end of my Push Pop Series! Then you can decorate them however you like! All you have to do is become a follower and leave me a comment under any of my Push Pop posts - it's open to all US residents. On the First Day of Push Pops, my true love gave to me - JUST KIDDING - they really have nothing to do with the song other than I made twelve designs. 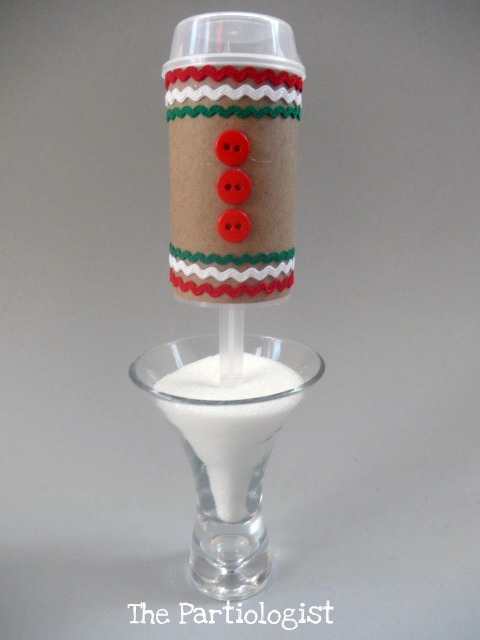 First up is my probably one of my favorites - The Gingerbread Push Pop. Started with brown shipping paper, rick rack and buttons. I cut a pattern out of card stock that would fit the Push Pop container and used it each time. Don't forget to save it! Trace around the pattern on the brown paper and cut it out. 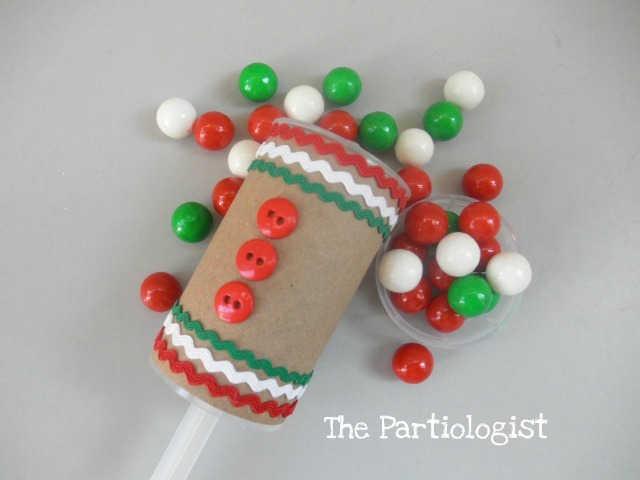 Wrap the paper around the Push Pop container and glue down the back. Start with one end of the red rick rack, wrap it around and glue it down. Do that with the other two colors. I used a smaller size rick rack than what is pictured. Added buttons - so, what do you think? Cute and easy! Now I needed to come up with something really sweet to go inside the container - no worries. I made cute little gingerbread cookies with faces. You could fill it with little gingerbread cookies or fake it don't make it! You can fill with store bought Sixlets! If your school doesn't allow home made treats, I'll show ideas of things to buy. So that completes The First Day of Push Pops! That is so cute. I sometimes teach at a group home (physical and handicapped)...and this would be a great thing for them to make!...thanks!!!! Great idea...once again!!! Looking forward to the rest! No words! Keep 'em coming! CHEERON! That is just adorable! I can't wait to see what is coming up next! So cute! I teach preschool and am having a Gingerbread Baby party. This would make a great favor. I can't wait to see the rest! I am a follower!!! 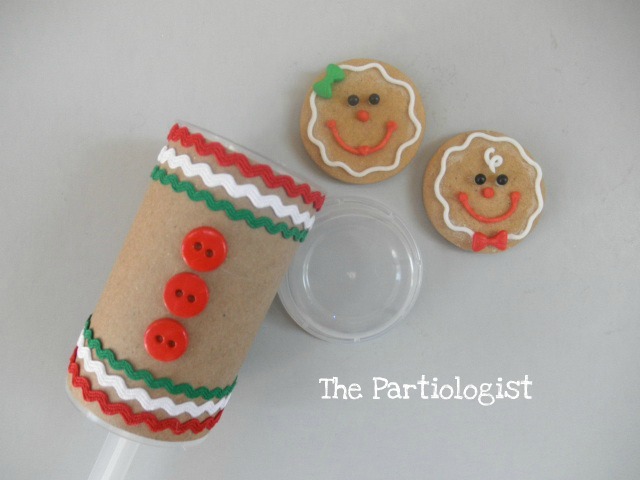 Your gingerbread push pop is soooo cute! Thanks everyone for taking the time to comment -that really means alot to me! And thanks too for posting a link to edible crafts!!! So excited for 12 days of push pops!!! YIPPEE!!!! This is the cutest thing ever! I just love the little cookies to go inside. 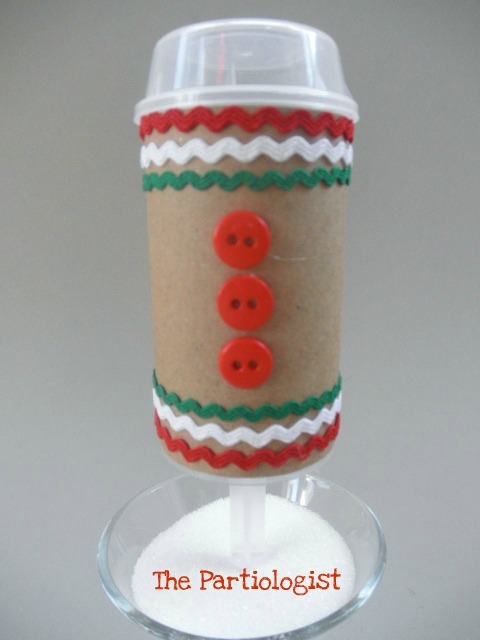 What a great little party favor treat during the holidays. What a great idea!! Now I can actually use some of the push pops I bought a while ago. Love the little faces!!! This one is my favorite - but I'm still following your posts so my mind is not completely made up! All are adorable!